Anything and everything can be used as a lyric writing prompt. 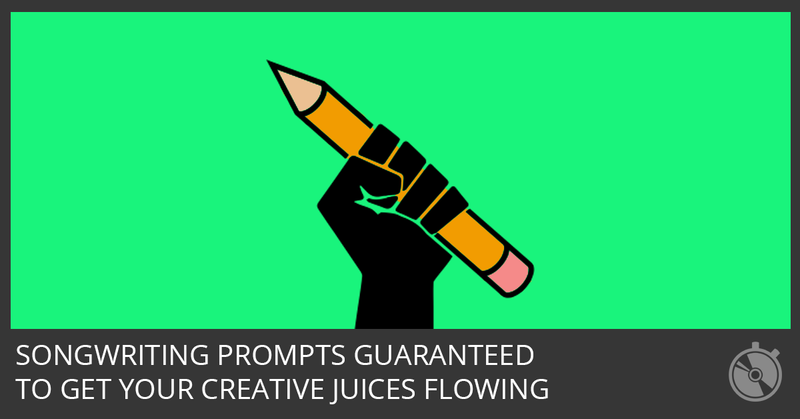 But these 15 writing prompts are guaranteed to get your creative juices flowing. Commit to sticking with the song and following it through to completion and build a good habit of finishing what you start. If the song is going badly, write even faster. Just get it over with, because if anything is worth keeping, you’ll know a day or two later. But you’ll also learn a valuable lesson about what you don’t like. Writing songs is how you get better. Song titles make great writing prompts. These rock-solid songwriting techniques will get you started writing song titles that generate interest, make entertaining songs, and ultimately get people to listen and talk about your songs. The Lyric Triad is a tool I created to make it easy to start writing and keep coming up with ideas whenever you need them. Here’s a brief introduction and the story of how I came up with The Lyric Triad. 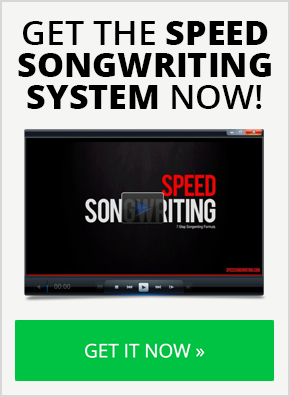 Song plots are outlines that give your song sections a basic premise that you can flesh out in your lyrics. Not only do song plots make great writing prompts, but they’re very powerful when it comes to presenting your song ideas. If you’re interested in storytelling and learning dramatic writing structures, you’ll love The “Story Hook” Challenge. Use a source of popular content to create a word cloud with Wordle or WordItOut. For detailed instructions, check out How To Get More Listeners With A “Lizard Brain” Song Title. Put words and song titles into Google or Google Images and describe what you see. Try this random word and sentence generator as a songwriting prompt. Rory’s Story Cubes are a fun way to set your imagination in motion. They also have apps for iOS and Android. All those hours binge-watching Netflix can be put to good use. There’s over 800 writing prompts on this Tumblr blog. Many of them are images to help you get your visual sense warmed up. These 365 creative writing prompts have you covered through the rest of the year. The Girl Who Loved To Write has a fun post of 52 prompts to get you started journaling. One of my favorite sci-fi and fantasy blogs regularly posts creative writing prompts. Ted has some fun things to write about as well as inspirational videos for creative writers. There you have it. 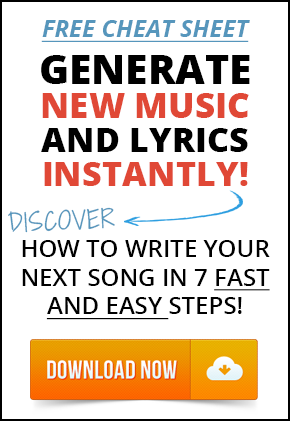 15 songwriting prompts to help you get warmed up and brainstorm new song ideas. Keep in mind that Speed Songwriting isn’t just about writing fast. It’s about being aware of time and making the most of it. If you know how long it usually takes you to write a song, then you can set realistic goals that are motivating to achieve. There’s nothing wrong with writing slowly. 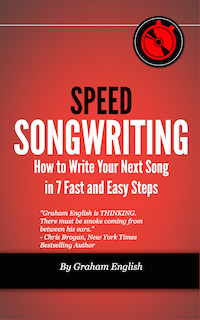 But if you write slowly, it’s even more important to set aside more time to complete your songwriting projects. Simple planning can help you complete more projects throughout your year. Challenge yourself. You might be amazed at the results. Thanks for posting this very very cool post! I find a good technique is to imagine you are writing a song for someone else, trying to write it as you think they would, from their perspective. I find it works best by picking out strangers, people you see when out and about, imagining their lives and thoughts. It takes you out of yourself and opens up whole new ideas and senarios. It’s worked for me many times!